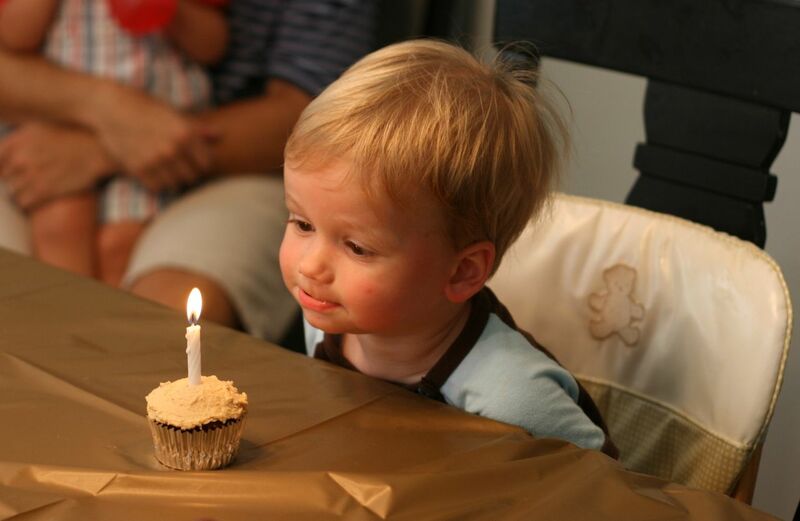 Check out my big boy blowing out his birthday candle! He's so cute...and just a month younger than my Noah. I bet they'd have so much fun together.